Click on the pic to see a larger version and on their name to go to their Web page/s. 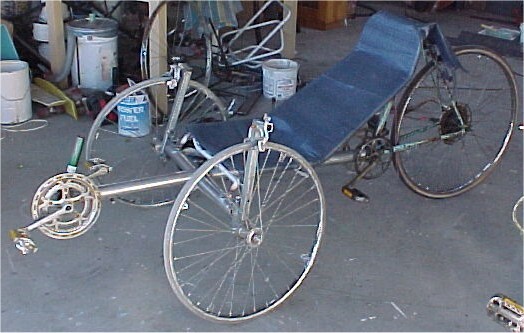 Phil Arnold, Ulverstone, Homebuilt SWB USS trike. Email Phil. 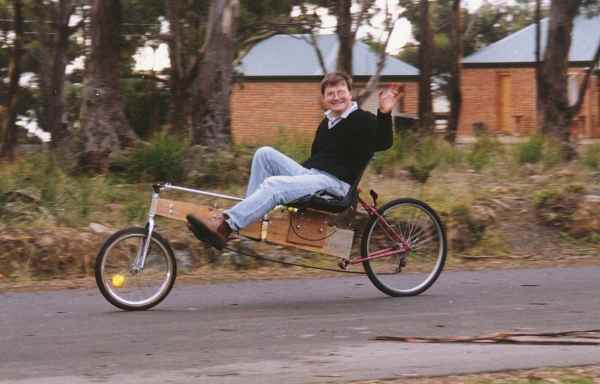 Jay Connell, Latrobe, Homebuilt LWB USS bike. 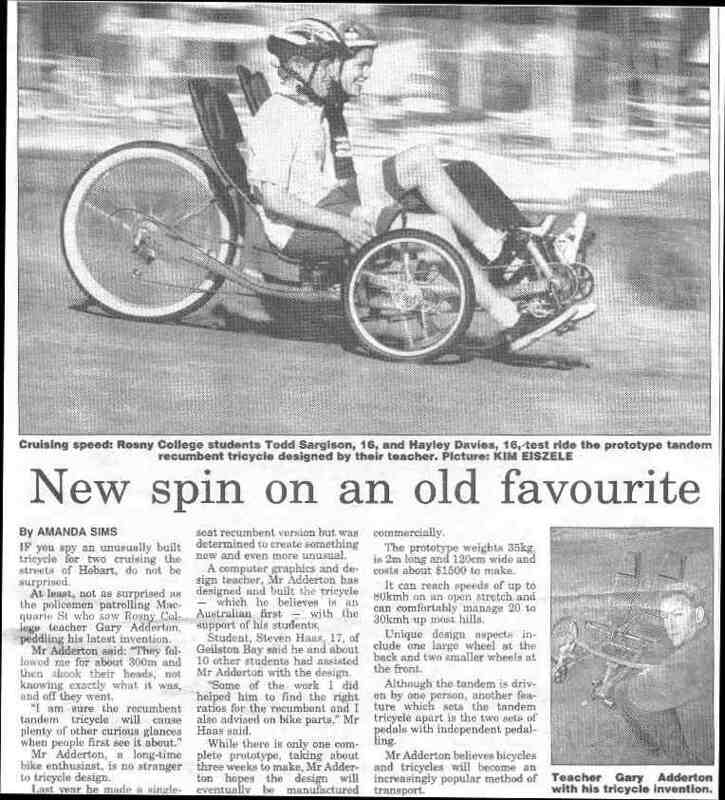 Leo Edwardsson Hobart, email Leo. 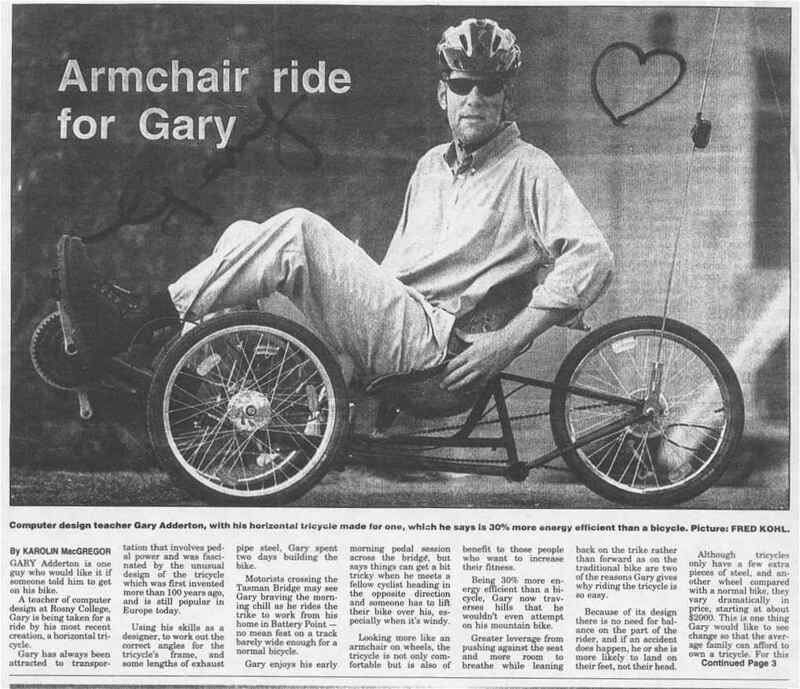 Gary Adderton, Hobart, email Gary. We still haven't really got any activities planned as quite a few of our members have been spread over the State so we are still trying to work out how to organise the times we get together. Here is some pics/info from past events. Pic of March 7th 99 ride. 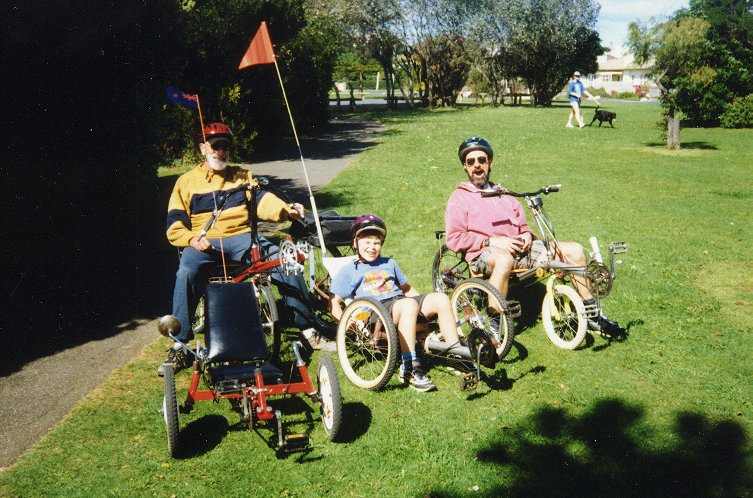 Pictures of our Australia Day (26th Jan 99) ride from Sth Riana. 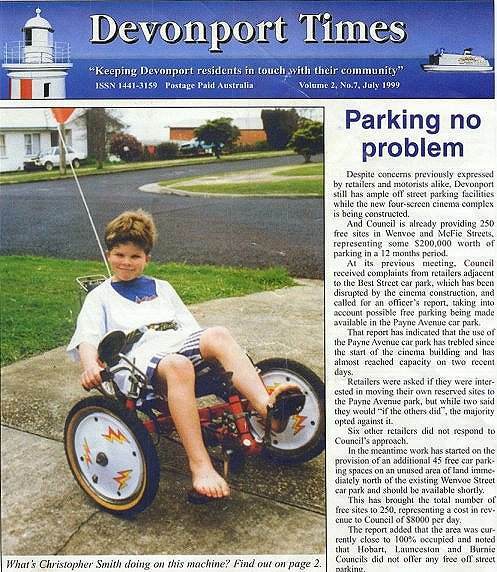 Pictures of our October 4th 98 Ride along the beach road in Devonport. 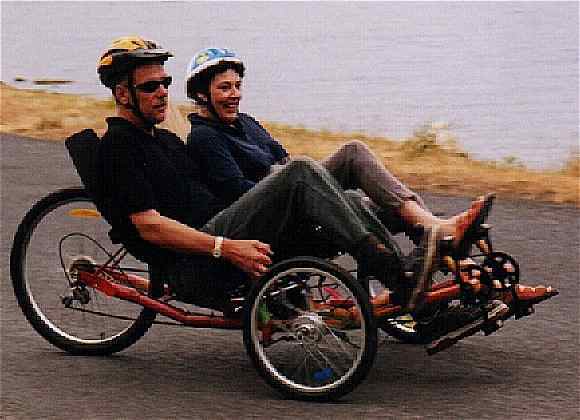 Timothy Smith's 26" - 20" Tadpole style electric powered trike with front suspension. 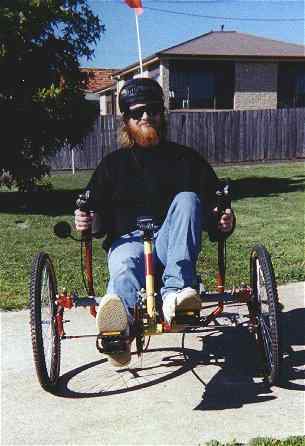 Andrew Page has now fitted a new Pedal Ezy Honda power assist unit to this trike. Sky Cycle pedal powered aircraft & Human Powered Boat at the Burnie TAFE. 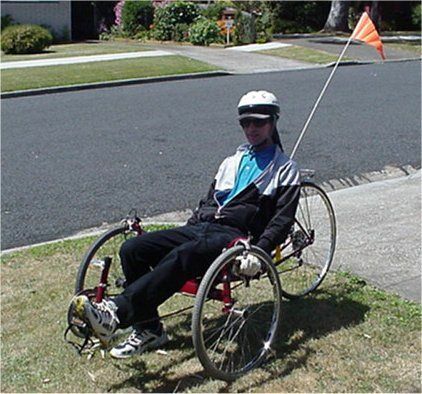 The Sky Cycle project is underway again. The distance record so far is about 800m using females. It's flown with electronic control gear, has a variable pitch prop, carbon fibre boom and the wings are foam core. It is still in development, maybe HPA's always are, the last being an increase in wingspan. Detailed description of Books, Video's, Magazine and Newsletter articles mainly kept in local, State & TAFE Libraries throughout Australia. 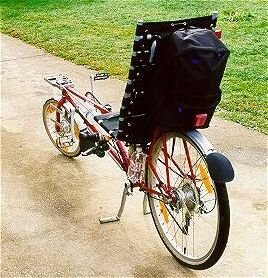 Includes HPA's, Design & Construction, Trikes, Power Assist & Solar & Electric Vehicles. 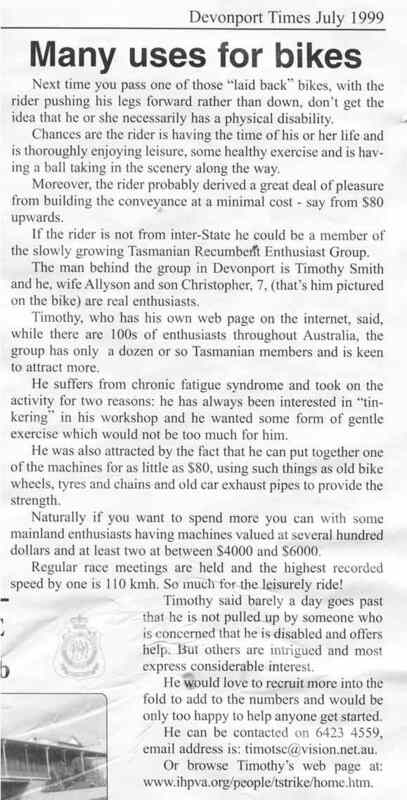 If you're wanting to know more about the club or would like to comment on this web site contact email Timothy Smith, ph 0364234559 or phone Richard Hoad on 03-62720424. If you're heading to Tasmania on a holiday feel free to drop us a line. 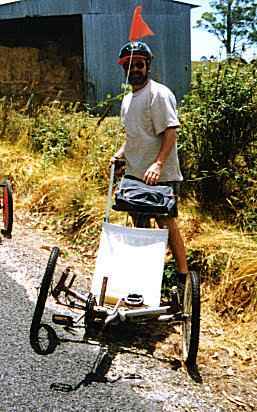 You never know, we may be able to help you out and would love to meet other recumbenteers.